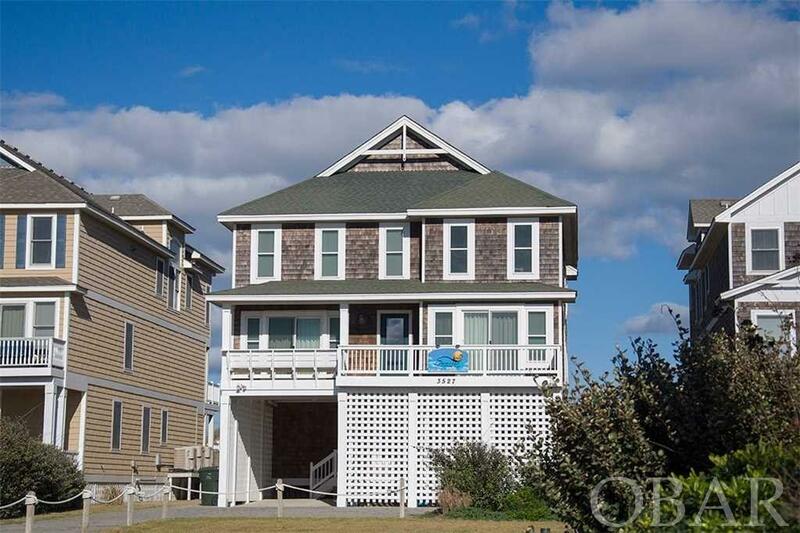 This oceanfront beauty has it all! Fantastic location within easy walking distance to the Nags Head Fishing Pier and Snowbird, large lot with private pool and a very spacious floor plan. The upgraded furniture throughout makes this a 1st class oceanfront property that has been meticulously maintained. New carpet in 2019 and 3 new heat pumps in 2018. The master bedroom is enormous and accompanying bath with walk-in shower are unique features from most other oceanfront homes. The mid-level game room has a professional 8-ft pool table overlooking the beach and the ground level sitting area offers a foosball table extra living area and large flat screen TV for the kids.